Joy from How Joyful! 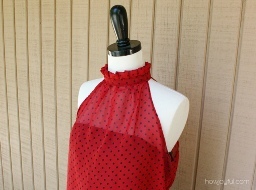 shares a tutorial on her blog showing how to make this gathered sleeveless top with ruffled neck. LOVE it! Go to the tutorial. Thank you so much Anne for featuring my tutorial!